There are many people, who might feel that they can create their own will without taking the advice of qualified lawyers for wills. During the process, the individual might feel a bit uneasy. It needs to be understood that the Will is a vital legal document that needs to be created properly, so that there is no dispute in the future that could arise in the family. With some tips and suggestions, the individual can make his own will and not require an advocate for the purpose. The basic concerns like leaving investments, a home, small business, personal items of the beloved ones, etc. can be taken care of. In case, there are young children, then it is necessary to use the will for naming the guardian for taking good care of them, especially when the individual is no more and to have someone to manage the property that they inherit. It would be interesting to know that an experienced wills Lawyer from Chandigarh would generally begin with standard form, which contains similar clause types having do-it-yourself documents. 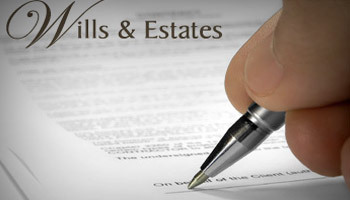 Most Chandigarh advocates for wills put standard will form in the computer and have the secretary to type the name of the client, the people whose name the client would like to have the property, along with other essential basic information, precisely, what the person can do for him while making the will the software. Will creation rarely tends to involve complicated legal regulations and rules. If the person is married, then the spouse does have right towards claiming a specific property amount after death of the person. If half the property is left to the spouse, then there is no issue. It is important to acknowledge and sign the Will before two witnesses. Beyond such basic necessities, the person might parcel out the property the way he likes and is not required to use any kind of fancy language for doing it. It means if the individual knows what he owns, whom he cares about, with some self-help resources, he can create a fine will that would work wonderfully. By making the will today, the individual can be free and satisfied enough to know that important and essential matters pertaining to the family has been taken care of. However, one should not rule out hiring a qualified advocate for Wills in this regard. There are some situations, where the services of the wills Lawyers are completely warranted. • There are questions about the will, including other options for leaving the property. • The individual expects to leave a big asset amount and it could be subjected to estate tax. • Instead of simply naming people for inheriting the property, the individual can make it a bit complex, for instance, leave the house in trust to the spouse, until she/he dies after which the property would be passed on to the children. • The individual is a small entrepreneur and has questions in regards to the rights of the surviving owners or ownership share.